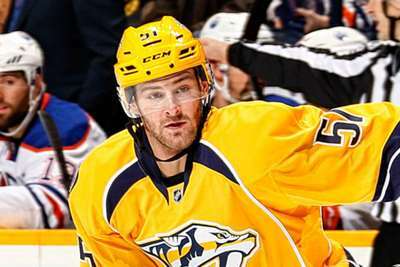 Nashville Predators forward Austin Watson's 27-game suspension has been reduced to 18 by independent arbitrator Shyam Das, the NHL announced on Thursday. Watson was originally suspended on September 13 for "unacceptable off-ice conduct", relating to a June incident involving Watson and his domestic partner. However, his ban was reduced on Thursday, making him eligible to return for the Predators against the Arizona Coyotes on November 15. "Our organisation was not involved in the appeal of Austin Watson's 27-game suspension, but we are aware of its reduction to 18 games," a Predators statement read. "As previously stated, our focus has and will continue to be the health and wellbeing of Austin and his family."